I remember when I was promoted from a humble engineer to the dizzy heights of project manager back in my twenties. The company I worked for successfully turned a reasonable engineer into a poor project manager! Worse than that the company also wanted me to be the "technical architect" (create the products) of the project. What I needed was the project management skills to manage change. Picture my frazzled brain by mid-week: I must get this design optimised, but I must get it done by Friday and not spend any more than 15 hours doing it. Specialists use their skills and experience to create specialist products (deliverables). These products can be anything from hardware, software, roads, documents, service delivery, aircraft, buildings, carpentry, and HR guidelines, the list is endless. Project managers, on the other hand, need general management skills, along with a knack for problem solving. Project managers are there to plan and manage the work - NOT to do it! 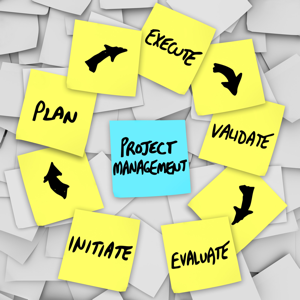 So what is the project management skill set? Leaders share and communicate a common vision (of some future state); they gain agreement and establish the forward direction. They motivate others. Managers are results driven and focus on getting work done against agreed requirements. A good project manager will constantly switch from a leader to a manager as situations require. The next step having found the root causes is to analyse possible options and alternatives, and determine the best course of action to take. Take care to agree what "best" really means here! Negotiation is working together with other people with the intention of coming to a joint agreement. It doesn't have to be the eye-ball-to-eye-ball power struggle you may be thinking of! For example getting one of the team to work late to meet a deadline when they would prefer to go to the ball game. For this, you need to have some influencing skills. Influencing is getting events to happen by convincing the other person that your way is the better way - even if it's not what they want. Influencing power is the ability to get people to do things they would not do otherwise. Being a communicator means recognising that it's a two-way street. Information comes into the project and information goes out of the project. A good way of summarising this is that all communications on your project should be clear and complete. 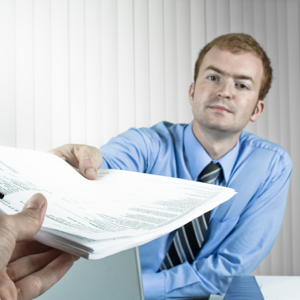 As a project manager, you will have to deal with both written and oral communications. Some examples are documents, meetings, reviews, reports, and assessments. A good mental guideline is "who needs this information, who gathers and delivers it, when or how often do they need it, and in what form will I give it to them." Let's just think of the aspects you will need to organise; project filing including all documentation, contracts, emails, memo's, reviews, meetings, specialist documents, requirements and specifications, reports, changes, issues, risks, etc. It's almost impossible to stay organised without having time management skills, so add this to your list! Plans are always documents, don't fall into the trap of thinking that, for example, a Gantt chart is not a plan - its only a schedule diagram. Successful projects are delivered by successful teams. 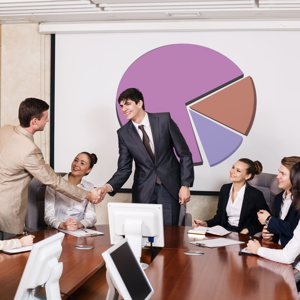 Always use the team to help create the plan unless, rarely, there is a good reason why not, such as commercial confidentiality, or contractual conditions. At the heart of this is the skill of estimating, particularly cost estimates. The project manager will nearly always need certain knowledge of financial techniques and systems along with accounting principles. Part of the project plan will be something called the spend plan. This will show the planned spend against a timescale. The project manager will want to get involved in purchasing, quoting, reconciling invoices, timesheets, labour costs, etc. The project manager then needs to establish what has actually happened as opposed to what was planned and to forecast the expected final costs. Normally accounting and project management tools will help, but remember the garbage in = garbage out rule! Well, that just about summarises the main areas. If you are new to project management, don't be too bamboozled by all this, there are well-understood methodologies, tools, guidelines, and procedures to help you on your way to developing the important life-skill of project management. Great list! I'm a relatively new project manager. Items #2 and #5 are good reminders for me. I work with others external to my organization, and you're right that sometimes a PM has no implied authority, but may still need to motivate others to get things done. Communication has been an ongoing issue on my project. Summarizing in writing and by email has improved communications over the last few months on my project. It's especially important working with a large group of people. Thanks for this article. Project management best practices can easily be applied on small projects to enable you to plan and manage your project successfully. If a project is in trouble, the project manager needs to work to recover it and get back on track. 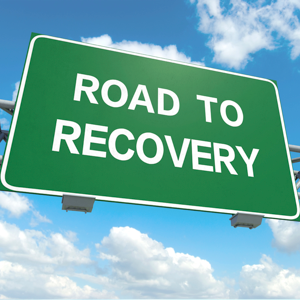 Four steps will help the PM facilitate the recovery. Five of the most common mistakes in internally developed RFPs and how companies can better manage these issues by improving their RFP processes. Communication is something to think about every day. Are your messages clear? Have you provided enough context? Are your expectations for any outcome apparent?